Many times this verse of scripture is used in the context of “vision casting” for church leadership. While it fits nicely when trying to convince others of the need for a particular ministry vision, this verse is not addressing leadership vision. “While it is good for leaders to communicate vision, Proverbs 29:18 is not talking about a leader’s vision. Rather, “vision” here refers to special revelation and the principle is that apart from God’s Word, society quickly spins into moral chaos.” Sometimes we are too blind to see the solution to our problems. As we move further away from Judeo-Christian ethics and morality in our post-modern world we can easily see the truth in this statement. “Where there is no revelation, the people cast off restraint”. At first glance Proverbs 29:18 would appear to be a random piece of wisdom. But as is so often true in God’s word there are references throughout Proverbs 29 concerning the lack of Godly vision in this world that results in lack of restraint. Pride, sexual immorality, greed, evil motives, hate, murder, lies and more are found in Proverbs 29. All of these lead to an eventual breakdown and total loss of social order in our society and in our churches. Prophecy here is defined by what has been written for our understanding, (Romans 15:4) and the teaching of the Bible in our churches, that we may be saved and carry the message of salvation into the world. The Bible is under attack on many levels. On a cultural level it is considered outdated and irrelevant. It is not uncommon to hear someone who identifies as Christian question the authenticity of scripture. A growing number write off any claim of biblical authority as opinions of men who have translated scripture over the years to fit their agenda. It is under attack in our churches as some denominations, pastors and church leadership are compromising the truth found in Scripture. Because of they do not want the pressure of appearing judgmental, non-inclusive. If we as a people do not hear God’s Word, then we can expect society to break down and even local churches to cast off restraint. The instruction captured in Proverbs 29:18 is not one to be used by church leadership to get people on board with their vision. It is a warning of the danger and destruction that comes from choosing our own visions instead of Gods. 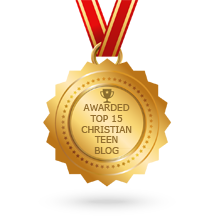 This entry was posted in A CLICK A BLESSING TODAY, CHRISTIAN NUGGETS, Christian Teens Blog JF, CHRISTIAN TEENS BLOGS, Christian Teens Blogs - He is my Peace, Christian Teens Blogs - He is my Peace, Light and Refuge, CHRISTIAN URDU BLOGS, SHARING STRUGGLES, TAPESTRY TREASURES and tagged vision. Bookmark the permalink.